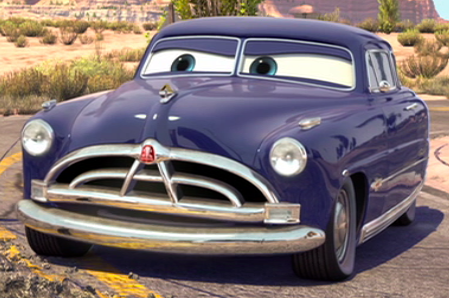 Why did Doc Hudson die? Hugo fell in love with cars shortly after his first birthday. He would spend literally an hour quietly lining up all of his favorites carefully then move them one by one to a new line across the room. He’s moved on now to more complex scenarios featuring car crashes complete with apologies (“I’m sorry, That One”). He also loves the real thing, and amazed me this week with his ability to identify specific models. Hugo identifies cars by the person who drives them. He recognized Mommy’s car (a brown VW Passat) a couple of months ago by pointing out a white Volkswagen CC. He now includes Jettas and GTIs, even VW vans and SUVs. Obviously he knows the VW emblem. But when we see an actual Passat, he is much more enthusiastic about the label: Mommy’s car. Hugo can pick out Lexus SUVs like his babysitter’s as well as Honda Civics like our neighbor’s. He differentiates Honda Accords (Daddy’s car) from Civics, too. A few days ago we went for a walk and he pointed out an old silver Neon. “Terry’s car,” he said, though Terry’s Neon is dark green and neither had an identifying logo. It seems a toddler’s attention is like a laser beam when it’s something important to him. 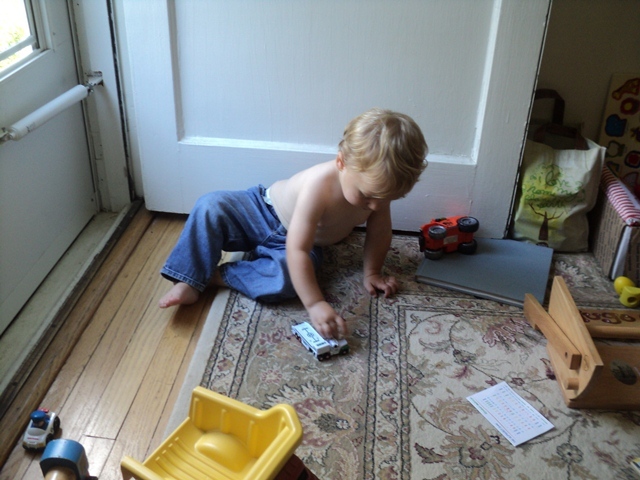 Will this passion for cars in his second year turn out to be significant later in life?